Polish scientists say their ongoing research into the potential use of earthworms' coelomic fluid to one day treat lung cancer is revealing promising results. Earthworms feed on fungi, bacteria and plant debris present in soil and digest any microorganisms - both pathogenic and non pathogenic - that they come upon in the process. To survive in such an environment, earthworms have had to evolve an immune system capable of protecting themselves from infection. One of these mechanisms is in their intestines, which produce highly potent bio-destructive and antibiotic substances. In previous laboratory tests the fluid extracted directly from earthworms killed both cancer cells and healthy cells. Recent tests, the results of which have been submitted for peer-reviewed publication, were more successful. These involved heating the coelomic fluid to 70 degrees Celsius and changing the worms' diet. In vitro results saw A549 lung cancer cells damaged in 75-80 percent of cases, while normal cells were unharmed. 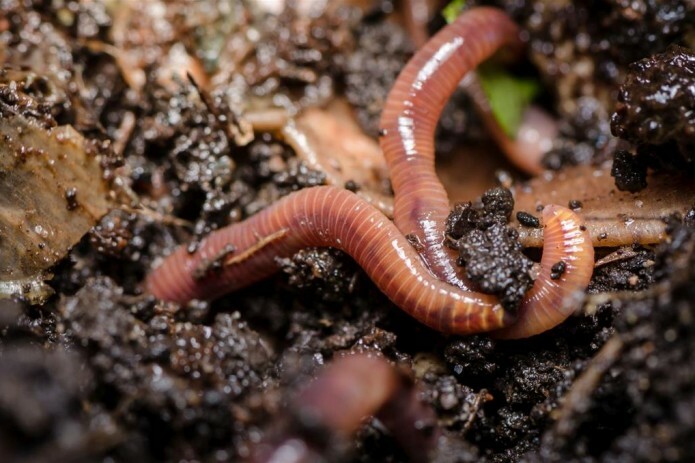 "For the coelomic fluid to work the earthworms have to be bred in optimal conditions," said researcher Marta Fiolka, from the Immunobiology Department of Maria Curie-Skłodowska University in Lublin. "They have to be fed with a rich diet - nutrition like boiled vegetables and green tea leaves. They need proper humidity and temperature and only then we can extract coelomic fluid out of them. It is subjected to further processing and we obtain the formulation that affects A549 cells in a significant way." Earthworms extract coelomic fluid when struck with 4.5 volts of electricity. The extracted fluid is filtered to remove potential microorganisms. It's then heated to 70 degrees Celsius and cooled before being stored in a freezer. "The initial conditions are crucial - choosing the correct temperature that influences the protein-sugar system in a way that it becomes a selective formulation that do not damage normal cells. However, why is it happening? This still needs thorough research," university biologist-geneticist Jolanta Rzymowska told Reuters. She added: "The results are pleasing. Destroying the cells in the system outside the organism in 80 percent of cancer cells is a result that makes us want to examine it more. It now needs to be transferred to animal tests." But Professor Lawrence S. Young, director of the Warwick Cancer Research Centre at the University of Warwick, says that while the Lublin scientists appear to have found a compound capable of killing cancer cells, their hardest work lies ahead. "Many novel anti-cancer agents have been identified in strange and unpredictable places - from deep sea creatures to tree bark. This work identifies potential anti-cancer agents in the body fluid of earthworms. It's intriguing work but requires more detailed study using representative cancer cells rather than a single cell line that has been cultured for many years. Identifying the active components and determing how they work (mechanism of action) will be crucial before further testing the clinical potential of this approach," he said. Lung cancer is the second most common form of the disease in both men and women, accounting for 14 percent of all new cancer diagnosis. The American Cancer Society estimates that a quarter of all cancer deaths are from lung cancer. In separate research reported in Science Direct, a Chinese team reported that fluid from earthworms had shown pain-reducing properties in mice.